The smartphone market has been growing on average 33% a year in the past 10 years, making it one of the fastest-growing areas of consumer electronics. Penetration of smartphones is higher than ever and the outlook for the segment is showing signs of maturity. As the market plateaus, retaining customers is becoming crucial to the success and survival of many brands. Many manufacturers have been differentiating their products by improving their quality against the usual accidents. Dropping the device on the ground or exposing it to liquids are the two most common accidents. Improving the resistance to these results in higher customer satisfaction and greater brand loyalty. Liquid damage is the second-largest cause of damaged smartphones, resulting in significant costs to end users, phone manufacturers, carriers, retailers and the environment in general. 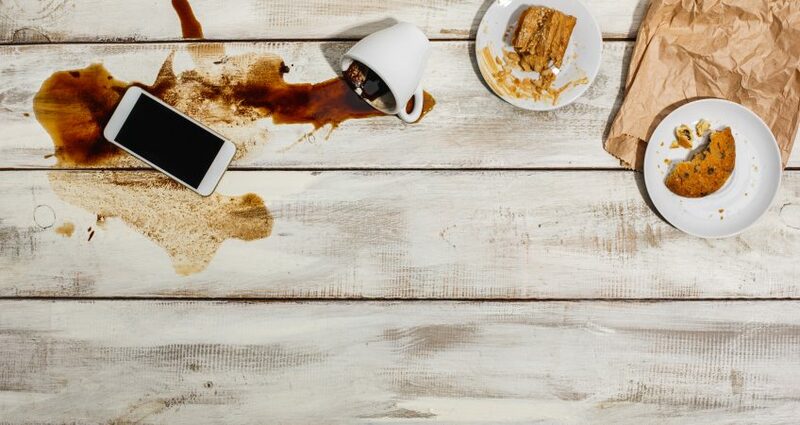 IDC estimates that nearly 900,000 smartphones get damaged by liquids every day. The impact of liquids on smartphones is estimated to be worth in excess of $96.7 billion a year. However, only 27 of the 360 manufacturers tracked by IDC offered some type of liquid resistance. This represents a small percentage of all smartphones shipped globally in 2016. In the next five years, smartphones will continue to grow at a CAGR of 3.5%. By 2020 total smartphone shipments will reach in excess of 1.7 billion units and a market value of $398 billion. The problems with accidents will only become bigger if not tackled by manufacturers. IDC interviewed some of the largest smartphone OEMs, mobile operators, and retailers, as well as a range of repair centres around the world, to identify the main causes of smartphone damage. Accidental damage is responsible for over 95% of smartphone failures. Liquid damage is the second most common cause of damage with smartphones after shattered screens, representing 35.1% of all devices repaired. IDC estimates that over 328 million smartphones were damaged in 2015 because of accidents with liquids, which represents a total cost of $96.7 billion. This problem impacts OEMs, carriers, retailers, insurers and, most importantly, end users. While many OEMs try to differentiate through lower price points, others focus on improving the experience by offering a unique ecosystem, premium materials, durable devices, stylish designs and best-in-class specs, delivering high-quality handsets. As the market plateaus, retaining customers has become vital to their success and in some cases even survival. Loyalty to a brand only exists if a mix of a unique ecosystem, new services and higher-quality hardware is offered, at a price that is perceived by end users to be good value for money. Two areas of innovation relate to screen durability and resistance to liquids. Nowadays, smartphones are used throughout the day, as part of users’ everyday lives, but with this increasing usage comes a greater risk of accidents, such as dropping the device or exposing it to liquids. To differentiate their offering and to improve customer loyalty, some manufacturers offer screens made of toughened glass, designed to be thin, light and damage resistant. Water resistance is also one of the key selling points that some manufacturers promote. Sony and Motorola have been two of the leading companies offering water resistance; Samsung and Apple have also recently started to offer water resistance in their latest flagship devices. This problem should no longer exist. IDC has found through its research that nano-coating, in combination with better industrial design, is a financially proven technology that prevents smartphones from getting damaged by exposure to liquids. In the next post we will explore how to end this problem once and for all.